Rachel Dack is a Licensed Psychotherapist, Dating/Relationship Coach, Nationally Certified Counselor and writer who is passionate about helping others achieve positive wellbeing and partake in healthy, satisfying relationships with others. Rachel offers psychotherapy for individuals and couples in her downtown Bethesda, Maryland office. Rachel also serves as a relationship and dating coach for adults who are looking for love and would like support with dating, intimacy and relationship building. 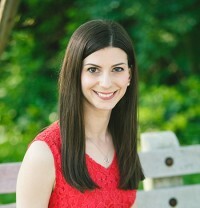 Rachel Dack provides psychotherapy, dating/relationship coaching & professional consulting services to individuals, couples & families in Montgomery County, MD (including Bethesda, Rockville, Potomac, Chevy Chase, Silver Spring, Kensington, Germantown, and Gaithersburg), Virginia, Washington, D.C., and to individuals across the country over the phone. All information and material on www.racheldack.com is provided for informational and educational purposes only and is not intended to be a substitute for professional mental healthcare or medical treatment.